Over the course of more than 20 years, Tim Kelly, Attorney at Law, has defended more than 3,000 people accused of crimes in Port Orchard and throughout the Kitsap Peninsula in Washington. If you have been accused of DUI or any other crime, he will take immediate action to defend your rights. Criminal defense lawyer Tim Kelly believes in the power of personal attention. Every case that comes to his law firm gets hands-on representation from him. He shows how much he cares about the people he represents by working hard day in and day out in pursuit of the best possible outcome. Clients are often surprised at how easy it is to get in touch with Tim Kelly. He provides 24/7 free consultations. When you choose him to handle your criminal defense case, you will be given his personal cellphone number. You will be able to call or text him whenever an issue arises. Even late at night or on the weekend, you can expect a quick response. He understands that some issues just cannot wait and need attention now. 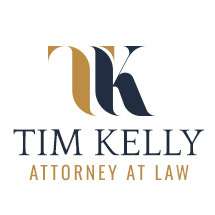 Tim Kelly is a member of the Washington Association of Criminal Defense Lawyers. He provides comprehensive criminal defense representation against all misdemeanor and felony charges and can assist with post-conviction matters such as criminal record expungement and firearms rights restoration.